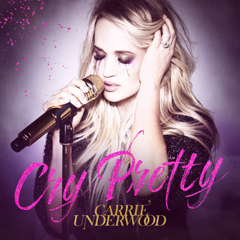 Multi-Awarding winning Carrie Underwood releases ‘Cry Pretty’ the first single from her forthcoming album, co-produced by David Garcia. The song was co-written by Carrie and Hillary Lindsey, Liz Rose and Lori McKenna, also known as Love Junkies. Carrie Underwood will be performing ‘Cry Pretty’ live this Sunday at the 53rd ACM Awards on CBS at 7pm Central Time/1am GMT.